Looking for a recipe or want to find the perfect and delicious main meal? Success® offers a wide variety of recipes for any meal occasion. Success® is the ORIGINAL Boil-In-Bag rice; available in quick-cooking white and brown, aromatic favorites Thai Jasmine and Basmati rice. 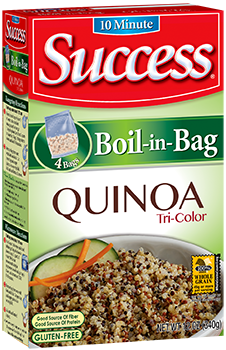 Be sure to try our new Tri-Color Quinoa. Got a quick question? Looking for information about our company! Want to join our consumer panel? Or, just looking to answer your questions about rice. Along with japonica, Indica is one of two main groups of Oryza sativa. These rices, which are higher in amylose (dry starch) than japonicas, are generally long-grain. They grow successfully in tropical/semitropical climates. 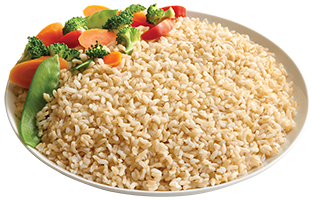 Indica rices include Basmati, Della and other aromatic rices. Rice that has been precooked and dehydrated. Cooks in about five minutes. © 2019 Riviana Foods Inc. Please log in or sign up to access these features.